There is always a healthy segment of the buyer pool that wants to "live inside of I-10" along the Thomasville Road corridor, and that means the Betton neighborhoods will always have a steady steady stream of people wanting a chance of home ownership. The reasons for this high level of demand is a combination of (location, location, location) as well as the abundance of homes with large yards and well established landscaping that has developed over the past 75 years. Proximity to everything in Tallahasssee, including four city parks, Winthrop, Harriman, Chittenden (Bellamy), and McCord, makes for a highly desirable lifestyle right in the heart of mid-town Tallahassee. This report examines the popular Betton neighborhoods (Betton Hills, Betton Hill, Betton Woods, Betton Estates, Betton Place and Betton Oaks) and lumps them together for the purpose of examining long-term home sales trends. These trends are insightful and highly valuable if you are planning on selling a home in Betton or buying one there too. 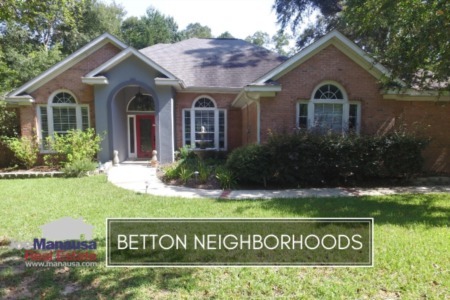 In this report, we will look at prices, values, and sizes of homes in Betton, as well as show current listings in the Tallahassee MLS and all closed home sales going back to 1991. Average home prices have been rising rapidly in the Betton neighborhoods for the past three years, and our report will show why. They rose 16% in 2014 and are up 12% thus far in 2015. Home sales activity this year has not started where it left off last year, but I would not bet against homes in the Betton area. For 7 consecutive years, the Betton neighborhoods have seen the number of closed home sales rise, and it is very likely that 2015 will make year #8 to continue the streak. Unlike home prices, average home values in Betton have been fairly stable over the past few years. Remember, prices are what buyers are spending, values are what sellers are getting. To understand the relationship between price and value, we'll have to take a look at "what" has been selling. Through March, the average value of a home sold in the Betton neighborhoods has been roughly $126 per square foot. The average home size sold in Betton typically falls in a range of 2,200 to 2,700 square feet, and this year buyers have been selecting homes near the top of this range. In fact, low mortgage interest rates have propelled Betton home buyers to purchase the largest homes they can find, and I believe that is why average home prices have been soaring, all the while home values have remained fairly stable. Expect to see the trend reverse soon (meaning we'll be running out of the bigger homes), and you can expect to see Betton home sizes decline (and thus so too will home prices), while home values will resume rising. 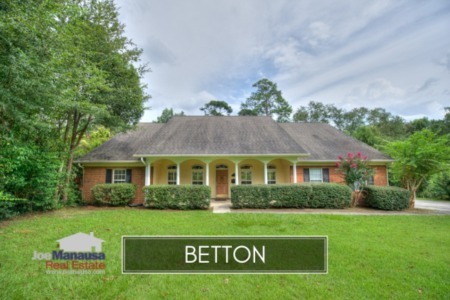 The following list of homes are the most recent listings in Betton. The following list shows home sales going back to 2003 in Betton. I hope you enjoyed our April 2015 update on home sales in the Betton area, please feel free to drop me a note if you have questions not covered in this report.